Harvard University’s admissions policies are at the center of an affirmative action lawsuit brought by Students for Fair Admissions. Many of the nation’s most selective universities came to Harvard’s defense on Monday against a lawsuit that attacks its use of race in admissions, underscoring the potential that the case could upend diversity efforts across higher education. While Harvard’s admissions policies may be at the center of the affirmative action lawsuit brought by Students for Fair Admissions, colleges and universities made it clear in court filings that Harvard’s race-conscious practices are far from unusual and urged the court to uphold them. “The litigation against Harvard has the potential to undermine the ability of educational institutions to engage in careful, fair, and holistic admissions practices, and we felt it was very important to stand with our peers in support of the principle of diversity in admissions,” said Joel Malina, Cornell’s vice president for university relations, in a statement. The universities argued that race-conscious admissions are crucial to fulfilling their academic missions and ensuring students are exposed to classmates of diverse backgrounds. How do you get into Harvard? For the lucky few, there’s the Z list. Universities across the country have their admissions lists, rejection lists, and waitlists, but Harvard’s end-of-the-admissions-line Z list is a place of both purgatory and privilege. Students for Fair Admissions has alleged that Harvard’s admissions practices discriminate by limiting the number of Asian-American students it admits — a contention Harvard has denied. Individual universities, trade groups representing college leaders, Harvard alumni and student organizations, and current and former Harvard students were among many groups that filed legal briefs on Monday in US District Court in support of Harvard. Conservative scholarly groups, economists, and Asian-American students rejected by Harvard in recent months filed documents backing Students for Fair Admissions. The amicus briefs from a wide swath of outside groups offer a window into how the case, which is scheduled for trial in Boston in October, has become the latest battleground over affirmative action in university admissions. Experts anticipate it will eventually reach the Supreme Court. Harvard’s holistic approach to considering race among many other qualities in admissions has been widely adopted throughout higher education, according to court filings by the American Council on Education, a trade group that represents university leaders. A study by the group found that 76 percent of member institutions use the holistic approach to admissions, according to the council’s court filings. 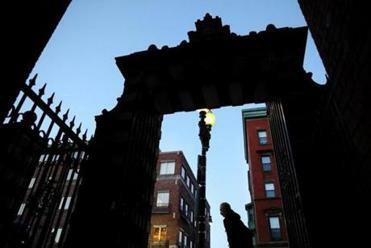 But Harvard has a “steep uphill battle” to prove its case and the university’s evidence is “hanging on by a thread,” Students for Fair Admissions, which represents several Asian-American students, responded Monday in court documents. Edward Blum, president of Students for Fair Admissions, has been involved in other anti-affirmative-action cases and most recently backed a challenge to race-based admissions at the University of Texas that centered on a white student. In that case, the Supreme Court determined that colleges could use race as one of many factors in admissions. The American Council on Education suggested in court documents the lawsuit “is nothing more than a first step in a backdoor attempt to achieve the sweeping relief sought — and denied” in the Texas case. Several more Asian-American students have joined Students for Fair Admissions and its case in recent months, court filings show. But many Harvard student organizations have come to the university’s defense. Having significant numbers of minorities at Harvard offers under-represented students support and gives classmates a better understanding of diverse experiences, according to court documents filed by the NAACP Legal Defense and Educational Fund on behalf of 21 student and alumni organizations. Catherine Ho, co-president of the Harvard Asian American Women’s Association, is concerned that admissions officers show bias against Asian-American applicants. But eliminating race-conscious admission is not the answer, she said.